I August 2016 – Kevin Silk has been announced as the new Managing Director of WGSN, Ascential’s global trend authority for fashion and creative industries. WGSN’s portfolio encompasses its Fashion and Lifestyle and Interiors trend forecasting products, the retail analytics products Instock and Styletrial and the Mindset consulting division. Kevin is currently COO of WGSN and will be taking over the leadership of WGSN from Jose Papa who has been appointed Managing Director of Lions Festivals. 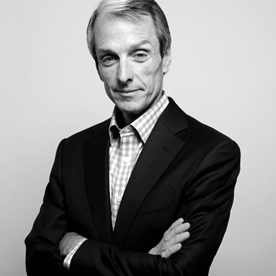 Kevin brings a wealth of experience to the role having previously been Executive Vice President of Stylesight where he helped shape the direction of the Trend forecasting industry and subsequently lead its merger with WGSN in 2014. Prior to that Kevin held senior leadership roles encompassing finance, operations, strategy, corporate development and product development at Stylesight, SAP, OutlookSoft, and Hyperion having started his career at EY. Kevin take up his new role with effect from 1 September and will report to Duncan Painter. He will continue to be based in New York.